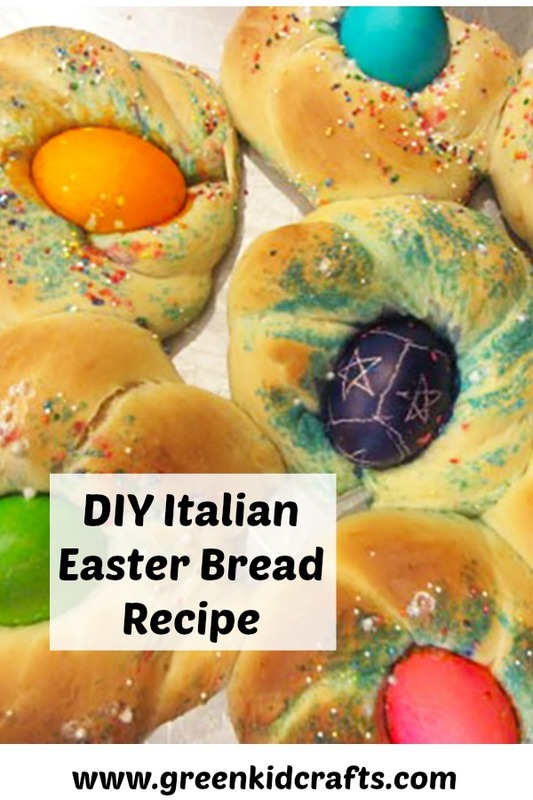 This is an amazing and delicious Easter tradition – Italian Easter bread! 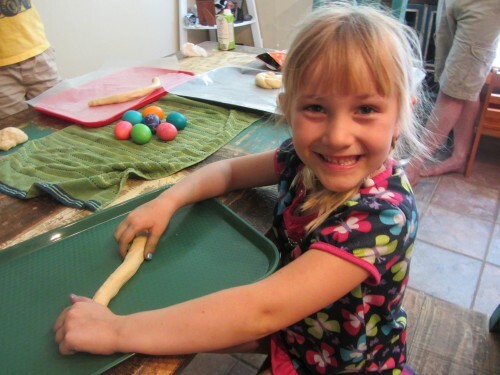 I’ve made this Easter bread for years with my kids. It’s a sweet bread, made with milk and sugar and has an Easter Egg in the middle! 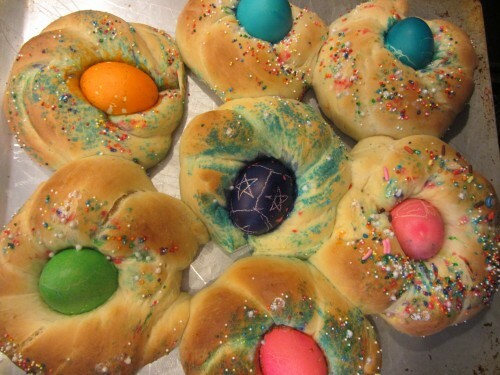 There’s a lot of Italian recipes for Easter breads, some are savory and some are sweet. This one is sweet AND fun. 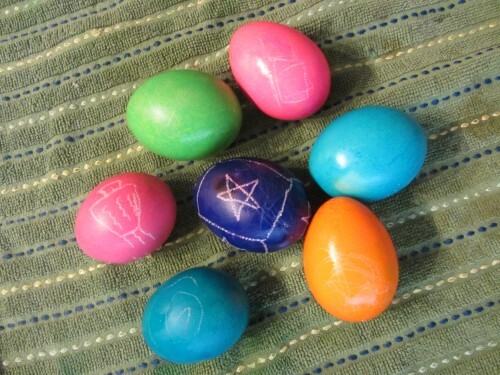 tip: the Easter eggs do not need to be hard boiled. They cook when the bread bakes. 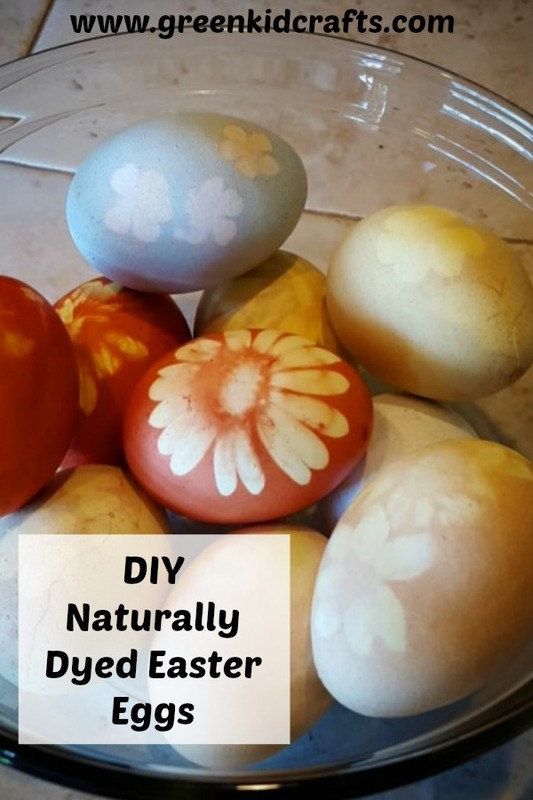 I usually just dye the eggs right out of the fridge, without hardboiling them. Saves time. 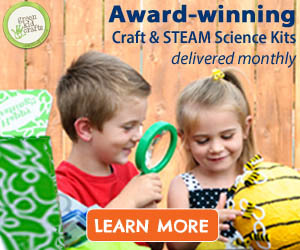 Just be careful they don’t crack! Step 1: In a large mixer bowl, combine yeast, warm (not hot) milk, salt, butter, eggs and sugar. Add about half the flour and beat until smooth with dough hook. 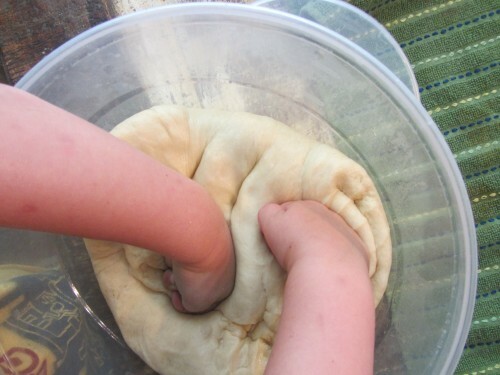 Step 2: Slowly add the remaining flour to form a stiff dough. 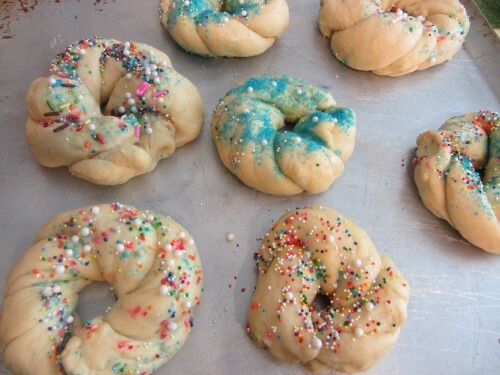 Don’t worry about how much flour it ends up being, just keep adding until the dough is not sticky anymore. 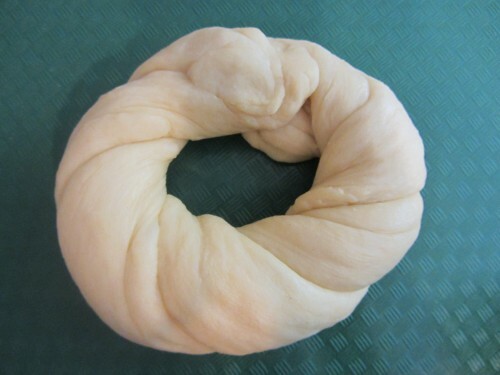 Knead until smooth with either dough hook attachment or turn out on floured board and knead. Place in a greased bowl, cover and let rise in a warm place until doubled, about an hour. Step 3: Punch dough down, divide into 12 pieces. 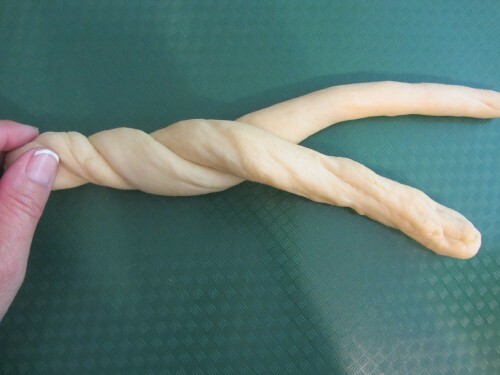 Roll each piece to form a 1 inch thick rope about 14 inches long and, taking two pieces, twist to form a “braid”, pinching the ends, and loop into a circle. 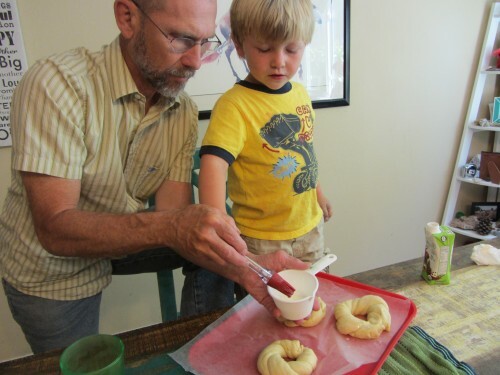 Step 4: Place on a greased baking sheet or line your baking sheet with parchment paper. Cover and let rise until double, about an hour again. Step 5: Brush each bread with beaten egg wash. Step 6: Put on the sprinkles! 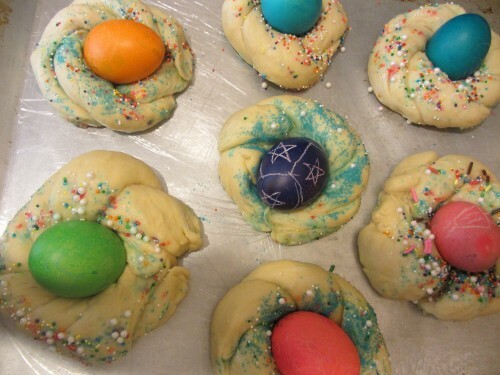 Step 7: In the middle of each bread ring, gently place an Easter egg, making an indentation with the egg. 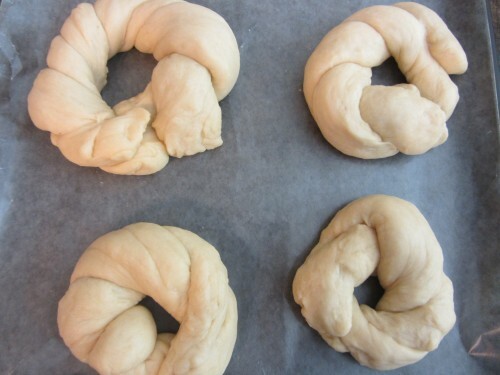 Step 8: Bake at 350 degrees until golden – about 20 – 25 minutes. Cool on rack.